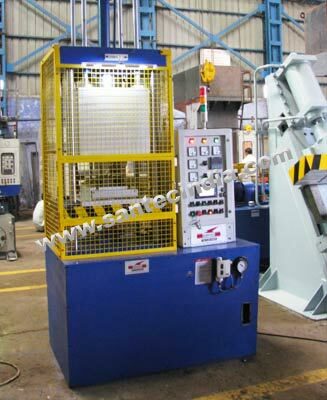 Santec's Vacuum Laminating press is ideal for molding applications where faster production & high quality is essential. The specially designed vacuum chambers of the machine pays off in the terms of higher quality and reduced scrap parts. Surrounding the workpiece with a vacuum removes heated gases and trapped air frame the part, eliminating the defects. Self-contained hydraulic system features on efficient load sensing, pressure compensated pump, hydraulic oil reservoir with sight gauge, thermometer and a clean-out door.